Helium Audio Joiner is a free, fully functioning, helper application that enables you to join multiple audio files into one single file. It will also give the users the possibility to analyse their files for errors, both before and after the joining as well as create CUE files from the joined audio data. 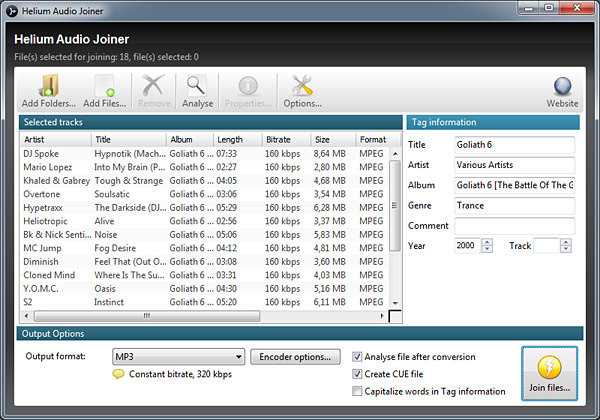 It supports a wide list of audio formats to create from and to and comes with an easy configurable user interface.